THE curtain comes up on an exciting flat season at Ayr Racecourse on Thursday 28 May with a seven race card marking the first of 16 fixtures which will run through until 31 October at the Craigie track. With William Hill sponsoring this year’s William Hill (Ayr) Gold Cup festival for the first time there is plenty to look forward to and the 28 May meeting will also be sponsored by the bookmaking giant. The William Hill Raceday comes under orders at 2.20pm with a two year-old maiden race over six furlongs while there are two very competitive looking handicaps each carrying £9000 in prize money - a one mile two furlong race and a six furlong sprint. The final race on the card is at 5.20pm - the Turnberry Holiday Park Handicap over five furlongs for three year-olds. Paul Hanagan and Jim Goldie will be defending their respective titles as top jockey and trainer and both are certain to be among the winners again. 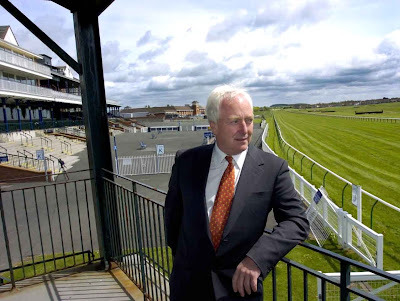 Looking ahead to the new season Ayr Racecourse chairman Alan Macdonald (pictured above) said: “After the huge success of our Coral Scottish Grand National meeting, we are all looking forward to the start of the flat season. “It’s great to have long standing sponsors like Giles Insurance, totesport, Laundry Cottage Stud, Wallaces Express, the Scottish Sun and John Smith’s on board again, and it’s also gratifying to welcome William Hill on board for what I’m sure will be a fruitful association with the Ayr Gold Cup. 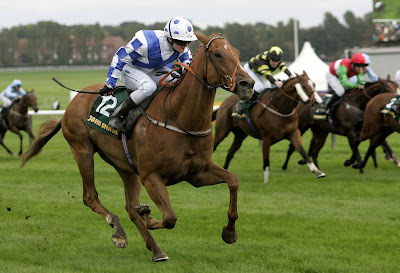 The William Hill (Ayr) Gold Cup Festival is held from Thursday 17 September until Saturday 19 September. There are discount available for tickets booked seven or more days in advance. There are currently 512 Ayrshire business stories permanently archived on this site. To locate those of most interest to you, please use the site search facility in the top left hand corner of this page. Type your search term in the white box, then click “SEARCH BLOG”.